Our colleague Matthew Hilton is one of the organizers of this big conference taking place at Birkbeck next spring. A major international conference, with plenary speakers and large parallel sessions, exploring where the study of history is currently heading. The conference draws inspiration from the capacious legacy of the late Eric Hobsbawm, but is not a memorial event. We aim, rather, to bring together discussion about what we are currently doing as socially-committed historians, where we are headed, and what it means to be an historian in the twenty-first century. A short post to introduce our newly-arrived visiting researcher, Rogério Link. Hello! My name is Rogério Sávio Link. I know, it’s a difficult name to pronounce—you can call me Roger, or something like that. I’m from Brazil, and I will stay here in Birmingham for one year conducting historical research about an Anglican mission among the Apurinã people in the Amazon, in the 1870s and 1880s. This mission was maintained by the South American Missionary Society, based in Oxford. Some articles written by missionaries who worked in the region were published in The South American Missionary Magazine. The archives of the mission, as well as the copies of the magazine, can be found in the Cadbury Research Library – Special Collections at the University of Birmingham, and at the Crowther Centre for Mission Education at the Church Mission Society in Oxford. The Apurinã people belong to the Arawakan linguistic family and call themselves Pupỹkary. Their population is estimated to be between seven and eight thousand: the National Health Foundation in Brazil gave the number as 7,718 individuals in July 2010. 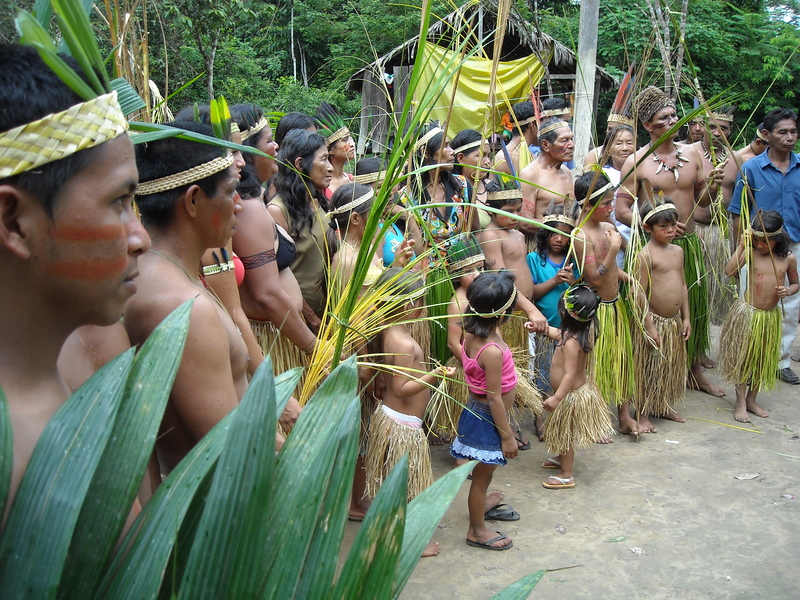 The Apurinã people divide themselves into two exogamous patrilineal clans: Xuapurynyry and Miutymãnety. That is, the lineage is passed from father to son and the correct matching occurs between these two clans. First names in Apurinã indicate to which clan the individual belongs. Feared as a warrior people, the Apurinã traditionally occupied the margins of the Lower and Middle Purus River and its tributaries, from the Sepatini to the Hyacu (Iaco), and also the margins of the Aquiri (Acre) and Ituxi rivers. Currently, they are dispersed in 36 Indigenous Lands (petitioned by the Indians, identified, demarcated or homologated), along the Purus River and its tributaries, in the Madeira River basin: this is the case of the Apurinã people living in the Torá Indigenous Land, in the municipalities of Manicoré and Humaitá, or also in Solimões, in the municipalities of Manaquiri, Manacapuru, Beruri and Anori. 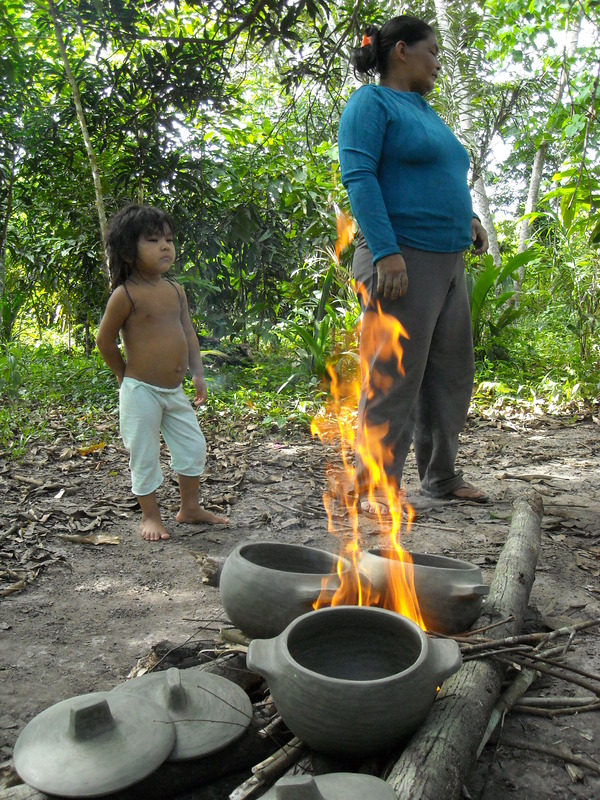 In the Upper Solimões, in Santo Antônio do Içá, they can still be found in the San Francisco Indigenous Land. In addition to these municipalities, the Apurinã people are also located in the municipalities of Tapauá, Lábrea, Pauini and Boca do Acre, in the Purus River basin. Approximately 400 individuals can also be found living in the city of Rio Branco, in Acre. There are still about 60 people in the Mawanat village, in the Roosevelt Indigenous Land in Rondônia, who migrated there in 1983 when an Indian called Munduruku and his Apurinã wife, FUNAI officials, were transferred to Cacoal, Rondônia. Editor’s note: Rogério’s blog, in Portuguese, can be found here. I wish Samuel Beckett had written a play called Xuapurynyry and Miutymãnety. On Friday 5th July the People’s History Museum, Manchester, is hosting a one-day conference to mark the fiftieth anniversary of Harold Wilson’s ‘white heat of technology’ speech. Though he might not have realised it on that day in Scarborough in 1963, Wilson’s speech would quickly become one of the most famous pieces of political oratory of the twentieth century, and would set the tone for the remainder of the 1960s. In the run-up to the conference the Nottingham Politics blog has been running a short series of posts exploring the background to and legacy of Wilson’s speech. Steven Fielding begins the series by examining the backdrop to the speech, and in particular the political context of the early 1960s. For some years Labour had been concerned that rising real incomes and the advent of the ‘affluent worker’ had been eroding the Party’s base among the traditional working class. Wilson’s speech was the zenith of a strategy that sought to reconnect Labour with these new affluent workers by recasting the Party as modern and dynamic, abandoning the traditional association with the cloth cap in favour of the white laboratory coat. Andrew Scott Crines focuses on Wilson as an orator, exploring the rhetorical devices that Wilson deployed and the reasons the speech proved to be so effective and so memorable. He concludes that Wilson did indeed seek to project an image of the Labour Party as a dynamic and modernising force, but also that this message was underpinned with a warning that economic decline and national irrelevance would be the inevitable consequence of a failure to adapt to technological change. There was thus an undercurrent of fear and foreboding in a speech that was otherwise characterised by its hopefulness and optimism. In the final post I consider the way in which the ‘spectre of technological revolution’ has haunted the post-war Labour Party. Though Wilson might have been one of the first Labour politicians to attempt to ally science with socialism he was far from the last, and many of the themes that characterised his speech would recur in socialist rhetoric, particularly that of Tony Benn and Tony Blair. All three men shared a vision of technology as a distinct force in history, operating independently of other economic or social processes, to which government had little choice but to respond. Though half a century has passed since Wilson delivered his speech, the themes of technological and social change that he addressed retain many contemporary resonances, as well as posing a number of intriguing historical questions. Friday’s conference hopes to tease out the answers to some of these questions, and to consider the relevance of Wilson’s ideas for today’s Labour Party.